The mission/soup kitchen is in financial trouble, and one of the biggest donors wants to find out what’s really going on there. Wealthy Ms. Witherspoon decides to send her personal assistant in to investigate, discreetly of course. What she finds out is so shocking that Ms. Witherspoon herself must go in, disguised as a street person, to see if her past has entered the present. The shelter director and his faithful assistant, both of whom are deeply committed to Christ and the mission, are totally unaware of the unfolding events and are praying for a miracle on several fronts. Two lovable and naive residents and the mission’s cook keep the daily routine lively. Add some mischievous teens who have to do community service, the regulars coming for the evening meal, and a young runaway looking for a place to hide, and the mission is in for a wild and hilarious evening. Can the story of Christ heal and help these hurting people? 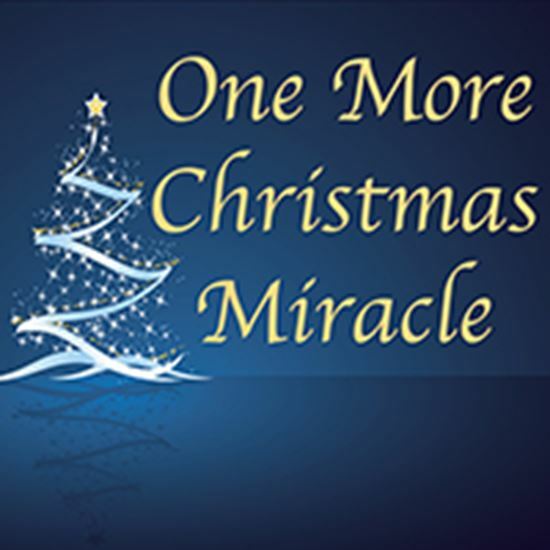 Does God have enough Christmas miracles to go around? A: In our early years of ministry BC (before children) my husband and I ministered at a residential drug rehab center in Philadelphia. We worked on the streets, operated a coffee shop called Hidden Manna, and various other outreaches. We met many colorful people and shared many unusual experiences while there. This ministry inspired the setting for the play. The community service crew was created for the kids at church who always want to be in the adult play. Other characters were inspired by people we’ve met through the years. The Christmas play in our small community has drawn many people over the years that never darken a church door. I wanted the play to be entertaining and present the message of Christ. Q: WHAT IS YOURFAVORITE PART OF THE PLAY? A: My favorite part is how Bruce naturally prays about the situations that come up in his life and the lives of those he comes in contact with. He is modeled after my husband, whose first thought when faced with a challenging situation is to take it to the Lord. He often reminds me and others that all we really need is a miracle, and God has more than enough to go around.